What do you do when the future is too late, and the present is counting down to an inevitable moment? Future Shock begins with Elena Martinez desperately trying to find a job. She’s about to turn 18 and age out of the foster care system. Her luck turns around when the Aether Corporation comes knocking on her door to recruit her for a research project due to her eidetic memory. After taking the offer, Elena and the four other teenage recruits (Adam, Chris, Trent, and Zoe) find out what their mission is: travel to the future and retrieve information for Aether. However, once they enter the future, they realize they have traveled 30 years into the future instead of the planned 10 years. Even more, they realize Adam is the only one of their group still alive in the future, and now they must find out why they are all dead and try to change their fate. Time travel books seem to be hit or miss for me. I love the concept of them, but for some reason I can’t wrap my mind around them and usually think up some kind of plot hole. I’m glad to report that Briggs executed the time travel aspect well. The world building was great and the new technology advancements were pretty cool. The mystery was well-written. Elena is able to figure out the end results since she is in the future, but she must work backwards and piece together what actually happened in order to save their lives. The mystery was twisty and did have turns, though I was able to figure some of it out before the main characters did. I loved the diversity of the cast. Elena and Adam were the most developed characters, but I still enjoyed the whole group. I didn’t ever feel like any of the teenage recruits were forgotten or ignored in any scenes, which can be hard to pull off with a group of five. 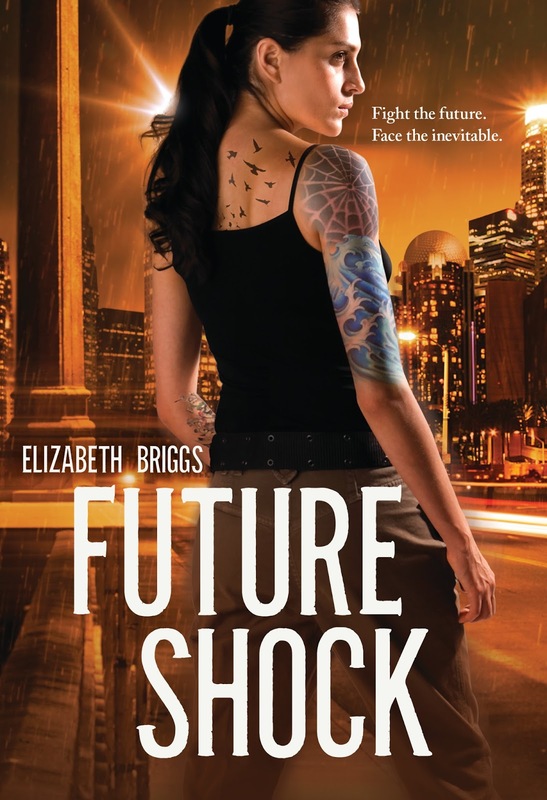 Overall, I did enjoy Future Shock and I’m excited to see where Elizabeth Briggs will go with the sequel, Future Threat.